Pain, suffering, and stress can be intolerable, but it doesn't have to be this way. YOU ARE NOT YOUR PAIN reveals a simple set of mindfulness-based practices that you can incorporate into your daily life to relieve chronic pain and the suffering and stress of illness. Clinical trials show that mindfulness meditation can be as effective as prescription painkillers and can enhance the body's natural healing systems, while also significantly reducing anxiety, depression, irritability, exhaustion, and insomnia—all symptoms that can arise from chronic pain and illness. 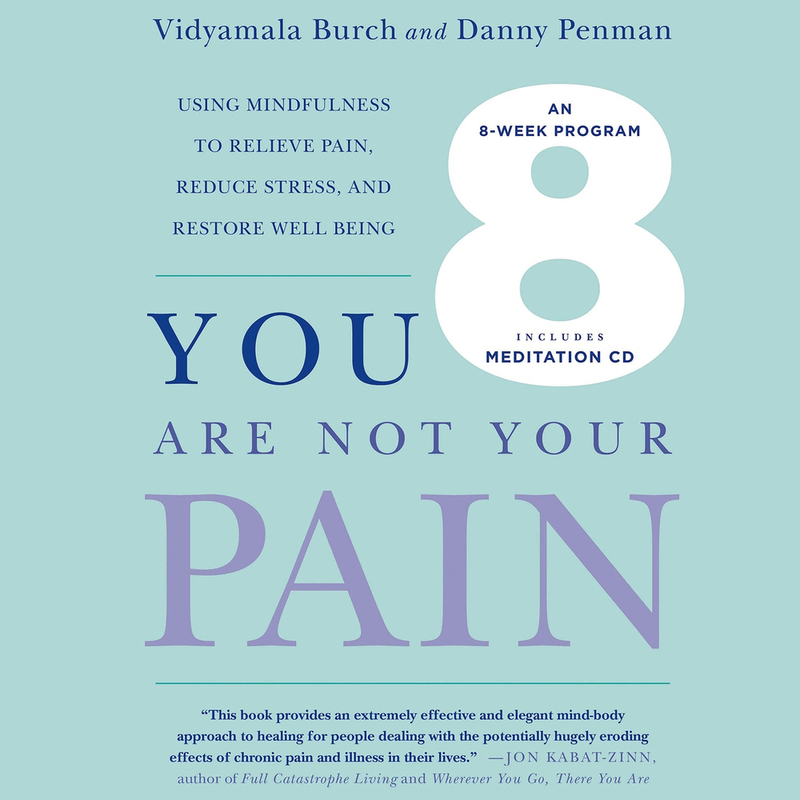 Developed by two authors who themselves have struggled with severe pain due to serious injuries, this accessible book reveals the eight-week program that will quickly melt away your suffering and help you cope with your pain. Taking up just 10-20 minutes per day, this is a simple yet effective way to soothe some of the common causes of pain like back problems, arthritis, migraine, and diabetes, but can also be effective for people undergoing chemotherapy, people with heart disease, fibromyalgia, celiac disease, and much more. Accompanied by a CD with 8 meditations, listeners will be able to identify and focus on secondary suffering which is brought about when the mind becomes fixated on the anxiety of pain, and begins to anticipate it, thereby making suffering worse. Using the meditations and techniques within the book, readers will learn to breathe in to their pain and dissolve suffering by soothing the brain's pain networks and leaving you able to live life fully again. 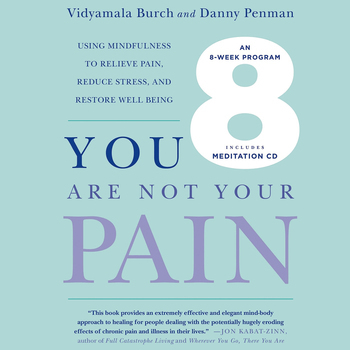 Listen to this sample of the meditation techniques from the audio excerpt from You Are Not Your Pain: Using Mindfulness to Relieve Pain, Reduce Stress, and Restore Well Being, the new book by Vidyamala Burch and Danny Penman. “Pain is the great equalizer. No matter who you are, rich or poor, woman or man, young or old, pain will be part of your life. However, with the right tools pain does not have to be a source of suffering. You Are Not Your Pain provides a lucid and powerful guide to meeting life's inevitabilities. With this book you will learn to work with pain and use it to catalyze growth and transformation.” —Jeremy Hunter, PhD, Assistant Professor of Practice at The Peter F. Drucker School of Management and creator of The Executive Mind. DANNY PENMAN is an award-winning journalist and author who worked for the BBC, The Independent, and writes for the London Daily Mail. He is coauthor of the bestselling Mindfulness: An Eight-Week Plan to Finding Peace in a Frantic World. VIDYAMALA BURCH is founder and codirector of Breathworks, an organization offering mindfulness-based and compassion-based approaches to living well with chronic pain, illness, and stress. She is the author of Living Well with Pain and Illness which is based on her Breathworks program.